As always, we keep the recipes here super simple but crazy delicious. These cupcakes are no exception! Don’t be intimidated by the fondant. It’s store-bought and easy to work with. But you can make your own by using marshmallows, powdered sugar and water. 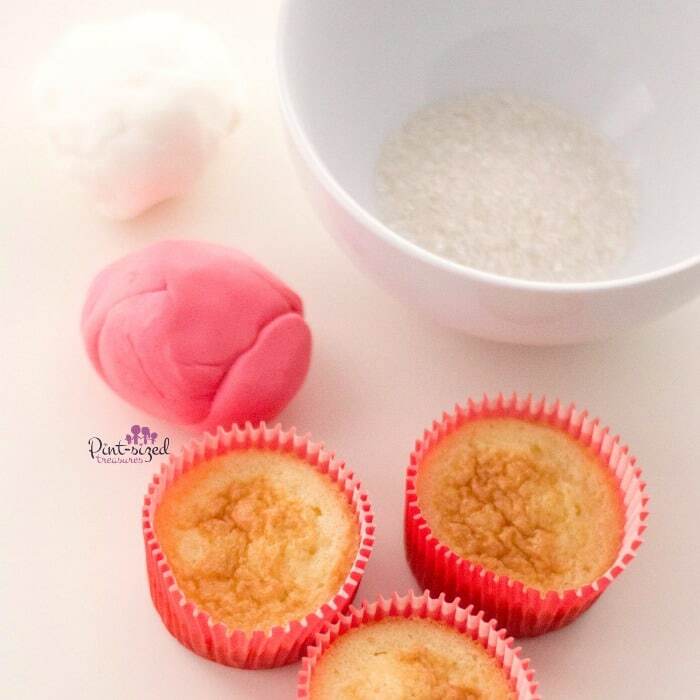 Here’s a simple fondant recipe you can grab. Just a side note: the homemade version always tastes better, but we used the store bought because it was a little time-saving hack! You’ll also notice these gorgeous cupcakes are made from a cake mix. Don’t worry — they still taste like they came from the local bakery? Because we use our bakery secrets in this recipe! We add an extra egg and replace the oil with butter. And the difference is ginormous. No one will guess they’re not from scratch! You can always take these up a notch with a few extra touches! 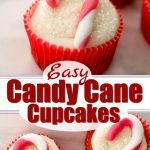 How to Make Your Fondant Candy Cane Cupcakes EVEN Better! Use our /bakery style secrets found here. 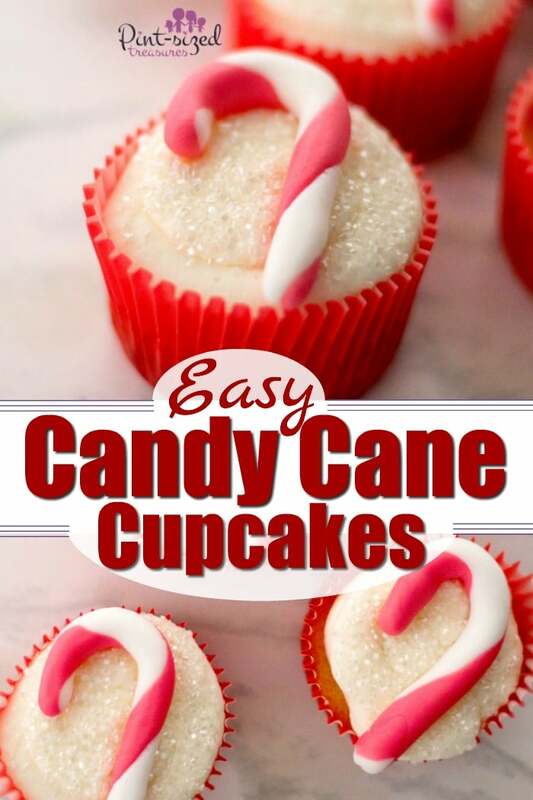 Crush up some real candy canes and sprinkle them around the fondant candy cane. Serve on a plate with crushed candy canes and edible silver pearls for a festive touch! Add a cream filling that’s either red or white. We found some cupcake liners and fondant for you so you can just grab and go! They’re below. If you’re taking these cupcakes to a class party, you’ll want to double or triple the recipe. And I highly recommend making these the night before the party so you’re not super stressed the morning of! Double Chocolate Football Cupcakes. These are awesome for football fans and are covered in a melted tootsie roll! So good and so cute! Easy Owl Cupcakes. Easy cupcakes that use Oreos for those BIG owl eyes we all love! Banana Cream Pie Cupcakes. These cupcakes combine the amazing flavor of banana cream pie and the fun size of a cupcake to create edible bliss! 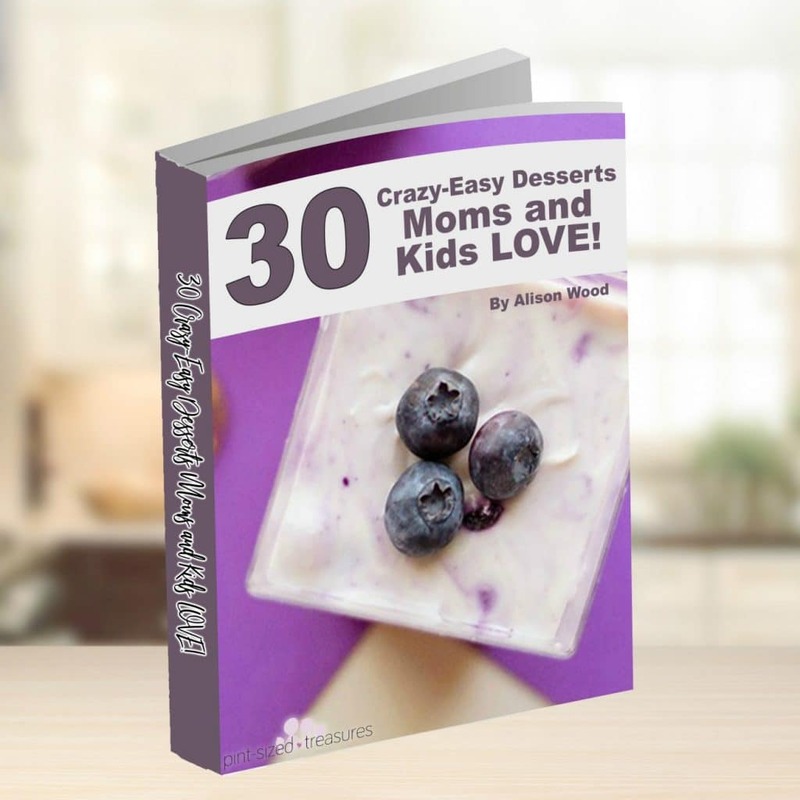 Grab our easy desserts book that families love! Share your favorite recipes and grab more recipe ideas in our Family Favorites recipe group on Facebook. See you there! Beautiful cupcakes with candy cane shaped fondant on top to make celebrating Christmas super-fun! 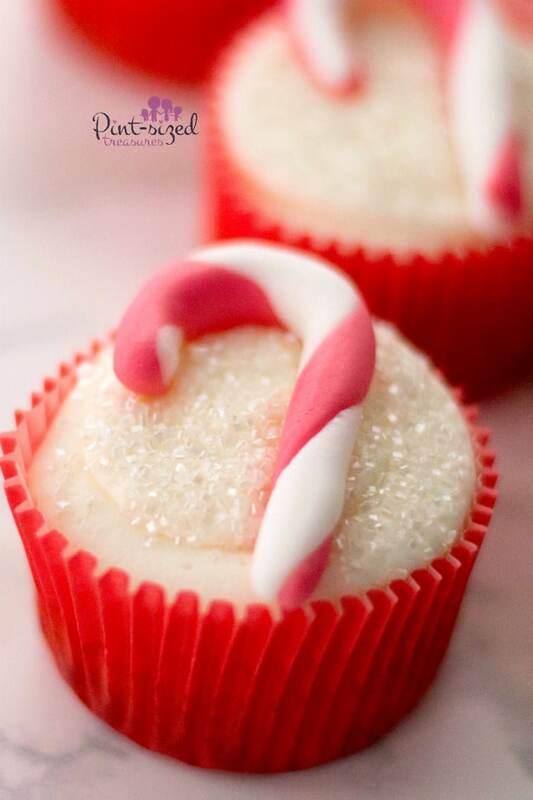 Candy cane cupcakes add a little bit of fun to any holiday party. 1 box white cake mix follow instructions for 12 cupcakes, but add an additional egg and use melted butter instead of oil. 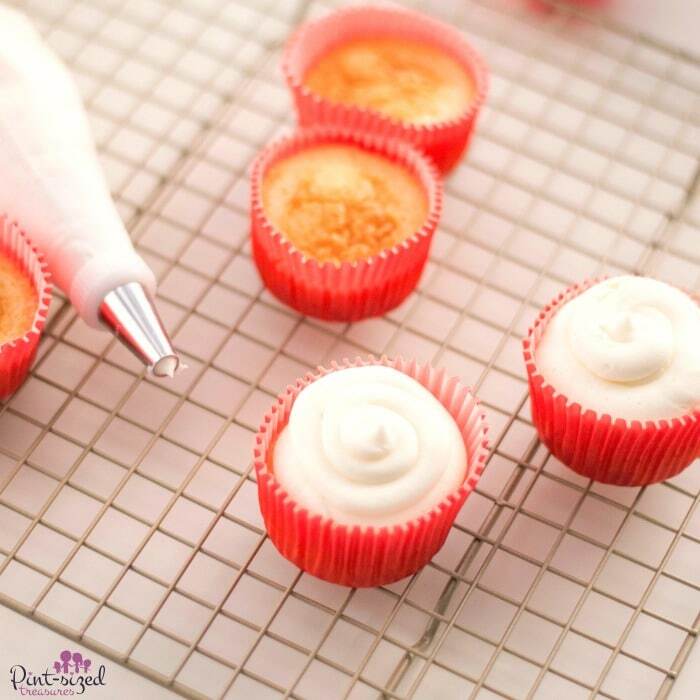 Bake cupcakes according to box’s directions and allow to cool completely. 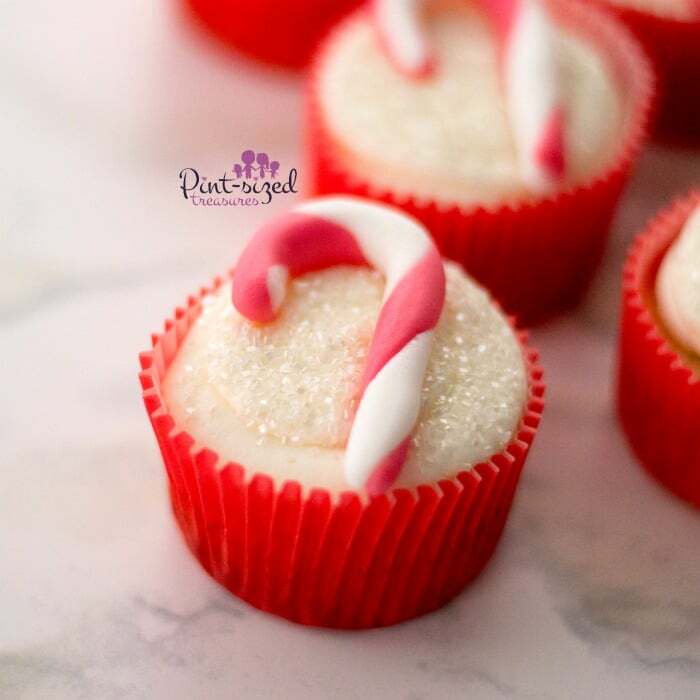 As the cupcakes are cooling, prepare your fondant candy canes. 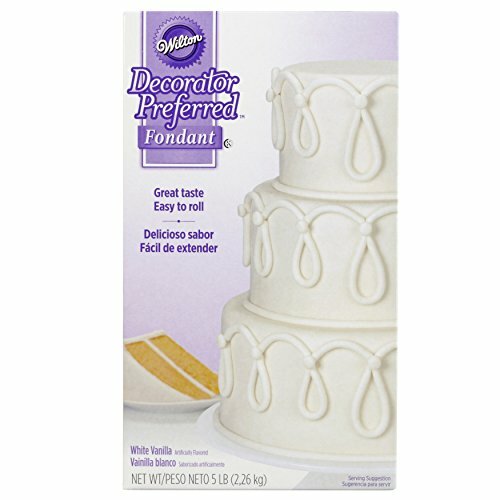 Divide fondant in 2 2 oz. spheres. Color one red with your food coloring. Knead until completely tinted. With each piece of fondant, shape out ½-inch spheres then roll them out into long strips. Twist one white fondant strip with one red fondant strip. Roll it out until smooth and then shape it to look like a candy cane. Trim if necessary. Using an electric or stand mixer, beat together butter, sugar and milk on medium speed. Add vanilla extract. Gradually increase speed to high. 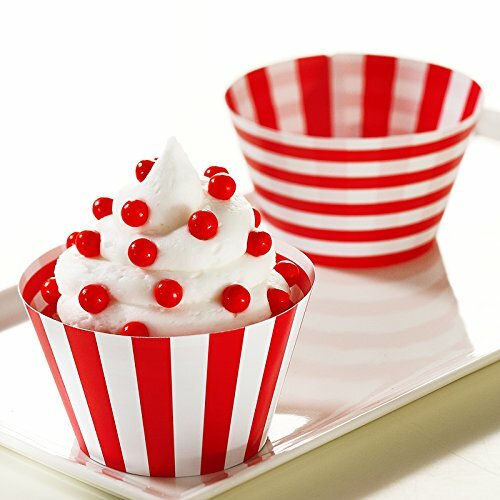 Using a frosting bag, frost each cooled cupcake and dip the cupcake into a bowl of sprinkles. 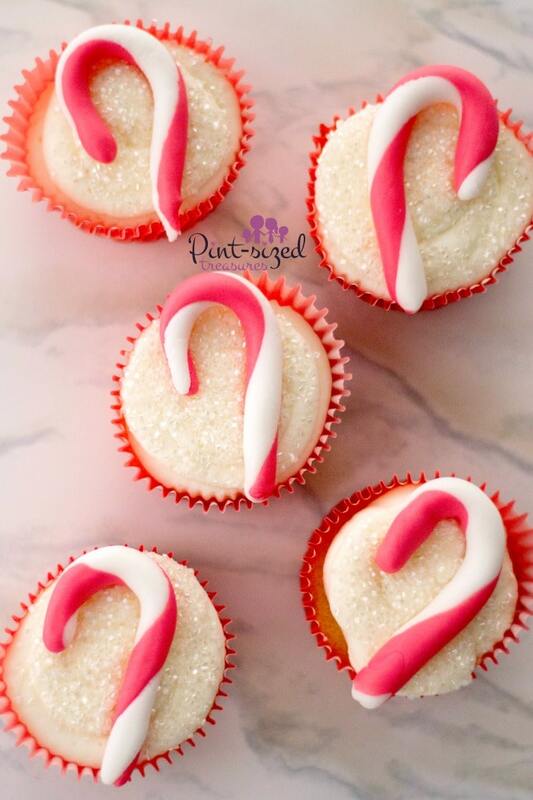 Place one fondant candy cane on each cupcake and enjoy! These can be made ahead of time and frozen!